Millions of people witnessed the greatness of Muhammad Ali but didn’t get to experience the sacrifice of training, hard work, and discipline that led to greatness. As a part of the REFlections interview series, I had an opportunity to interview an emerging leader who has developed the fight within. 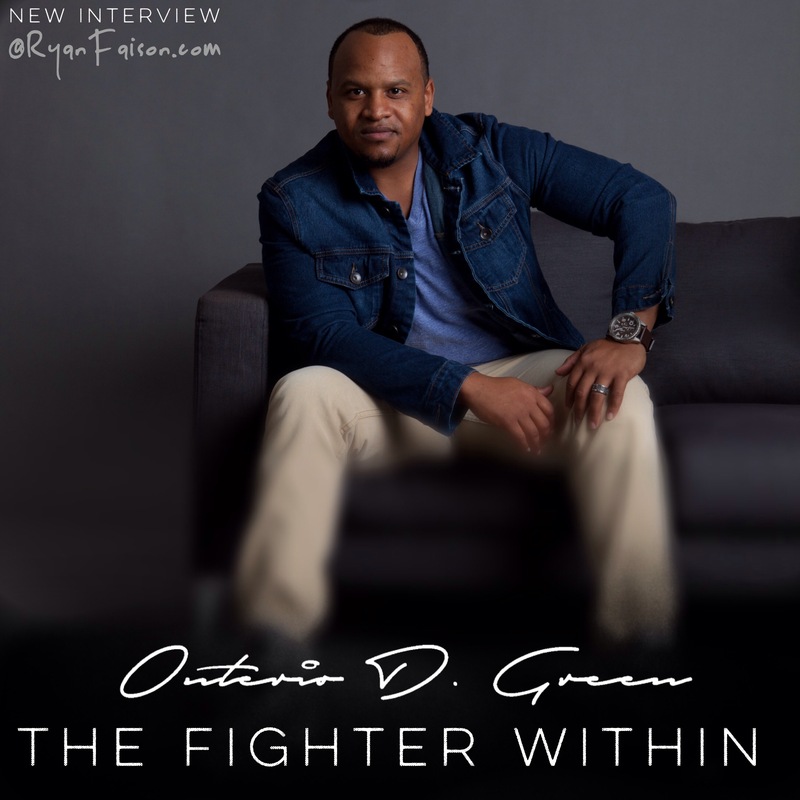 As the E-Pastor and Young Adults Pastor at The Potter’s House in Dallas, Texas, Onterio Green has developed the discipline of fighting the good fight of faith. His heart’s desire is that you develop that same kind of tenacity. 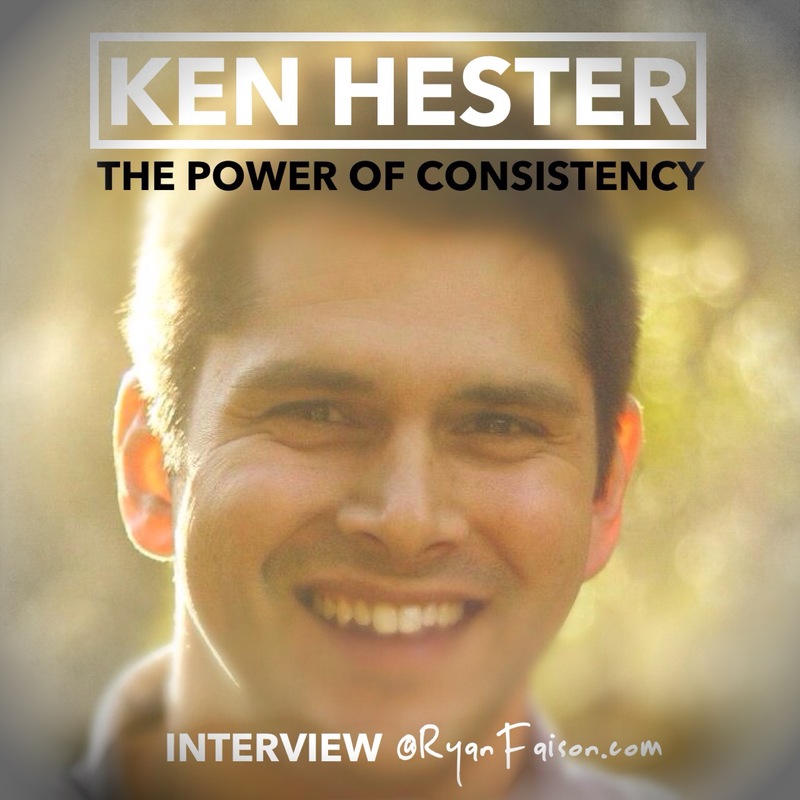 It’s my prayer that this interview challenges your core to be the person God has created you to be. Thanks Onterio for sharing life-changing words! RF: If you had to describe yourself in one phrase, what would that sentence be? OG: A family man. Family is a supreme priority for me. Family always comes first. No matter what else I have on my schedule, my #1 priority is the health and wholeness of my family. This is partly due to my upbringing; I attended 16 elementary schools, 6 middle schools and 4 high schools. These challenges, amongst others, prompted me to take a greater focus on the health of my marriage and family. Above all else, I want to be known as a family man — a man who invests and loves his family first. RF: Your family is extended to your Potter’s House family in Dallas. As the E-Pastor (Online Campus Pastor) and Young Adults Pastor (BrickHouse), what would you consider the “secret” to godly success? OG: Teamwork. At the Potter’s House, it is a core value and one of my core values. From top to bottom, teamwork is demonstrated in the daily operations to the national and international conferences such as The International Pastors & Leadership Conference (recently held in Orlando, Florida) and the upcoming Mega-Fest (in August 2015 in Dallas, TX; www.mega-fest.com). Within this teamwork dynamic is structure that allows for fluid communication and greater effectiveness. As E-Pastor, our online campus is the largest campus with over 300,000 viewers around the world. In order for this campus and others to thrive, teamwork is the key. For example, our Brickhouse Young Adults Ministry is based on team. Our visionary, Bishop T.D. Jakes, has taken a vested interest in the Now Generation. As pastor of Brickhouse, I’m blessed to lead this ministry with a core leadership of eight (8) leaders and sixty to seventy (60-70) volunteer leaders. As leader of The Brick, I employ the same work ethic I had ministering in Upstate NY, Florida, Kansas City and now in Dallas. With over nine years in ministry, I would consider myself a go-getter and a workaholic. Our team has the same flow and we’re excited about the opportunities to serve our generation. I must say my transition to The Potter’s House was a bit intimidating. You had a high capacity team who are all go-getters! In my time at The Potter’s House, it has been a joy to work such a team that has a global impact. Success in ministry demands teamwork and a strong work ethic! RF: Who are your greatest mentors and what are your thoughts on mentorship, especially for our generation? OG: Pastor Chris Hill (Senior Pastor of The Potter’s House in Denver, Colorado) has been a mentor and spiritual father for me for over 17 years. Pastor Chris has taught me how to be a father, a husband and a man. He has been whispering in my ear and giving me godly advice like a biological father. I also thank Lady Joy Hill for her impartation to both my wife and me over the years. I also have other mentors in my life that speak into my life. They may not be well-known, but their investment in me is invaluable. You can’t choose a mentor. A mentor chooses you. You can’t throw yourself at people and then get upset when they don’t catch you. Our responsibility is to ensure we are open to instruction and to be teachable. This quality is attractive to mentors. God will give you who you need for where you are going. Value every level of mentorship. Don’t despise small beginnings. God will provide you everything you need for where you are going. Trust God to resource you and to be your provision. RF: Onterio, what would you consider the greatest moment or the most exciting moment in the last year? 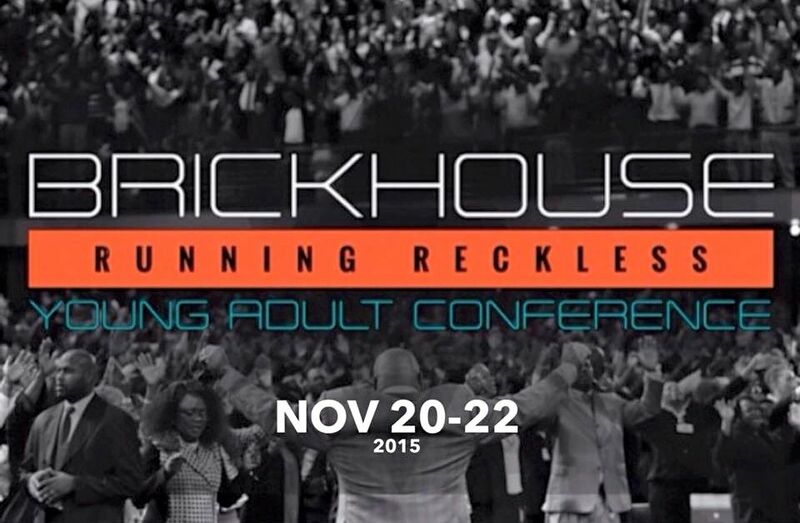 OG: I must say that the “Running Reckless” Brickhouse Young Adults Conference held in November 2014 was one of the greatest moments in ministry. It was an opportunity for our generation to get Bishop’s (T.D. Jakes) attention. This conference set the stage to restore trust in the older generation to pass the baton to the younger generation. This conference placed attention on valuing the anointing and being poured into. We’re excited about this year’s conference (Running Reckless) on November 20-22 at The Potter’s House in Dallas! RF: What would you consider the most challenging in the last year? OG: The most challenging would be the responsibility of being on bigger stages. The transition to larger platforms such as global conferences require a greater level of maturity, character and scope. You are not only talking to the same audiences you are used to. I’m thankful to Bishop Jakes, First Lady Jakes and The Potter’s House family for the opportunity. I realize it is a blessing to be treasured and taken seriously. RF: On a personal level, what are the most exciting moments for you right now? OG: It’s watching my children enter their pre-teen years. They’re entering youth ministry and it’s a joy to watch them grow in their relationship with the Lord. At their age, I was not sold out to Christ like they are. It is a joy for me. We pray every morning and to see them take greater ownership of their relationship with God is a father’s greatest joy! RF: What was the most challenging for you? OG: Over a month ago, I defeated thyroid cancer. Only a few people knew of the diagnosis and prayer warriors surrounded my family with prayer and intercession. After the surgery, I did post on social media about God’s grace and overcoming power. I didn’t make it public because I think at times Christians cry too much about what’s wrong. My wife and I made a decision to fight. We are fighters! As a leader, you don’t have the time to sit and cry. Check in and fight! We fought in prayer and stood on the promises of God. I’m a living witness to God’s faithfulness! No matter what the situation, don’t stop fighting! Discover the fighter within! RF: Speaking of fighting, there are leaders reading this interview that are tired. They have tried different strategies and have not seen the results they were hoping for. They hear of your success and may question what they are missing. What would you say to them? OG: Great question. As a leader, you have to fight for the dream. But, your dream needs a team. How much is your team invested in the vision? I would even add — can your team explain your vision to you? If not, it’s important to make the vision and mission clear. Also, it’s important (if you’re in a ministry context) to have 100% support of the senior leader and have their public endorsement of the vision. If the senior leader/pastor is excited about what’s happening, others will discover it’s importance and value. Another key point is prayer. Do you have prayer meetings or prayer times? With all the strategies, goals and dreams, if prayer is missing, you will not have the power of God that you are seeking. Remember — it’s about following God’s will, not the stage lights. Stay consistent and stay committed. RF: Thanks Onterio. What lasting words will you leave to leaders, especially emerging leaders? OG: When you read Genesis 37 (the life of Joseph), it actually resembles a life of a young adult Christian leader. The story speaks of purpose, the pit, pharaoh, prison and the palace. Once you discover your purpose, you may find yourself in a pit. In those seasons, don’t check out. Don’t give up. After the pit, you may find yourself in front of the leader! The pharaoh stage is the season of learning how to serve and honor your leader. If you cannot serve the vision of your leader, God will not entrust you with your own. As a leader, you may even find yourself in a prison. You may feel like you’re stuck. But, the prison stage always precedes the palace. When you read the life of Joseph, in every stage, He honored God in his words and behavior. As a leader, you have the opportunity to impact your generation in unique ways. God has shaped you for purpose. Trust God to set your path and watch Him do supernatural things in your life. I’m thankful for God’s grace and look forward to what’s ahead!